The Auburndale Police Department uses in-house trainers, Field Training Officers to provide the necessary training to newly hired police officers. The Field Training program consists of a sixteen week, six phase training program. Phase one begins with a three week in-house academy where the new officer learns the operations of the agency. The officer will be exposed to the computer report writing program during this time to better assist with the necessary skills required in the remaining phases. Phases two through five will be field work in the police car with a trainer. The officer will rotate to at least three trainers during the field training program. Phase six is the shadow phase, the officer will be assigned a police car and will be expected to function solo handling calls for service. The trainer will respond to calls with the officer and evaluate the officer’s performance. Being alone in the final phase allows the officer to become more familiar with the day to day field work that officers experience once assigned to a squad. Trainers are responsible for evaluating the performance of new officers. A daily observation report is completed scoring the officer in several categories. Upon successful completion of each phase, the trainer will recommend the officer advance to the next phase. Once the officer successfully completes phase six, the trainer will recommend the officer be assigned to a squad. The Training Unit is responsible for providing mandatory and supplemental training to agency personnel. This is to develop and enhance those skills and decision-making abilities necessary for the successful delivery of services. The Training Unit prides itself on fully trained “in-house” instructors who are responsible for teaching a variety of courses. By using “in-house” instructors, it increases the amount of training to agency members. The Training Unit facilitates monthly required training sessions, through online training provided by the PoliceOne Academy. PoliceOne offers state-of-the-art education, training, and information for every discipline within a law enforcement agency. PoliceOne has a large inventory of training courses with hundreds courses available online. Successfully completed courses count toward each officers mandatory retraining requirements, as set forth by the Florida Criminal Justice and Standards Training Commission.  The Auburndale Police Department uses Power DMS, a web based program to house all policies, General Orders, memos and other correspondences. Members use Power DMS to read, understand and electronically sign off on documents that are required. Power DMS is an excellent training tool, tests can be administered through the program to assist in the learning and understanding of documents. The Auburndale Police Department takes pride in knowing its members are well trained. The agency provides the members with on-going training to enhance skills and knowledge that reflects in the professional service provided to the citizens. Members of the Auburndale Police Department are provided with uniforms and equipment. The quartermaster is responsible for providing the necessary uniforms and equipment members need for their specific assignment. As uniforms and equipment age, members request replacement or additional uniforms or equipment through the quartermaster. The requested items will be ordered and issued when received. The quartermaster has specific vendors that are used to supply the needs of the agency. Vendors are selected by the quality, cost, availability, and reliability of the items they provide. The quartermaster researches vendors continuously to provide members with the best products available. The City of Auburndale has several events throughout the year where police officers are requested to provide security, traffic direction, and support to other departments within the city. Some of these events include, the Christmas Parade, Halloween Harvest, Bloodhound Bash, Crafts in the Park, and the Touch a Truck event. Police officers are often requested to provide security, traffic direction, and support for private events as well. These events may include, graduation parties, high school football games, building security, traffic direction in construction areas, and other private events where the facilitator may want a police presence. Private events are provided at a cost to the facilitator, company, or organization requesting the police service. The Support Services commander is responsible for organizing and scheduling these events as they are needed or requested.